Congratulations to Andrew from East Grinstead who passed his driving test in Crawley today. 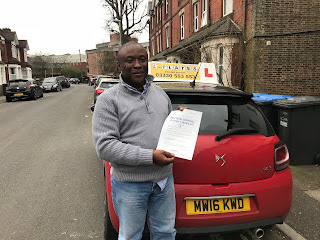 He passed first time with just one driving fault! Amazing achievement, well done Andrew. From your driving instructor, Raj Purba, and the rest of the team at L Plates Driving School.